Bonarda isn't well-understood. There are several grapes from Italy called Bonarda, but genetic testing has shown they aren't the same as what's called Bonarda in Argentina. In fact, like Malbec, the Argentine grape actually came from France, where it's a minor grape from Savoie called Corbeau. And in fact, the same grape grows on some very old vines in California, where it's called Charbono. And the funny thing is, the fruit tastes more like Bing cherry here. Vine age? Terroir? Laura Catena, a California resident and ER room doctor from Argentina, recently organized a Charbono/Bonarda tasting in San Francisco. I'm always happy to see Laura, especially if she's not removing bullets from me. 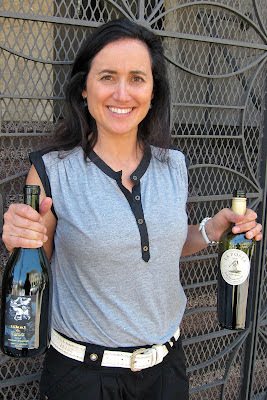 Catena said the reason Argentines stuck with the Italian name Bonarda for the grape, rather than switching to Corbeau, is that they didn't want another French-named grape. It does make tastings confusing, though. We tried some Italian Bonardas, but I'm not sure why. Let's stick to one grape here for clarity's sake. Without opening a bottle, there's one obvious difference between US Charbono and Argentine Bonarda: price. The four Argentine wines we tried retailed between $10-$20, as befits a wine the locals actually drink every day. The four US Charbonos were $28-$42, as befits a specialty product for wine geeks. Perhaps because they could spend more money on production, the two best wines were from the US. Testa Vineyards Mendocino County Charbono 2010 ($40) tastes so much like ripe Bing cherries that you'd really have to be a blue meanie not to get a smile on your face. Good acidity keeps it refreshing, and nicely structured tannins and a dry finish remind you that it's wine. The Testa family estate is certified organic. At 13.5% alcohol, it's restrained in that sense for either country, but this is an exuberant wine that transmits joy. The bad news: Only 75 cases were made. You can order it from the winery. 93 points. T-Vine Cellars Frediani Vineyard Calistoga, Napa Valley Charbono 2009 ($42) This is more wine-like than the exuberant Testa version, with beautiful Bing cherry fruit, some floral notes on the nose and good acidity. It's both lively and teeth-staining. Only 150 cases were produced; 14.1% alcohol. 91 points. Order it here. La Posta Armando Vineyard Mendoza Bonarda 2010 ($19) The fruit is a little more black currant than blueberry, but this wine from an own-rooted vineyard at 2,300 feet elevation has the grape's characteristic soft tannins and good acidity, and is a pleasant weeknight wine. 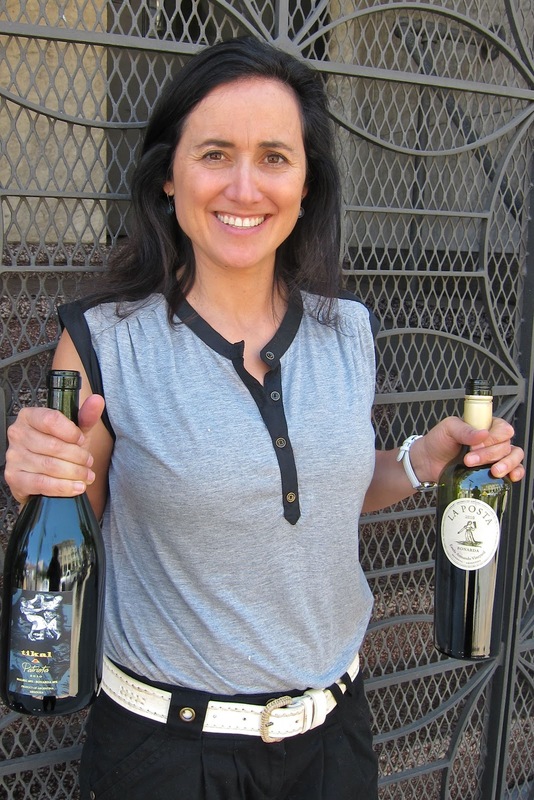 It's a collaboration between Laura Catena and the Sausalito importer Vine Connections. 89 points. Order it here. This has opened my eyes and whetted my appetite for these wines of which I have no knowledge but a great curiosity. It is important to me that the grapes are grown organically and are processed in a vegetarian manner and I was unable to find information about this on either product. The Testa family estate is certified organic. Don't know about the Argentine vineyards; I would guess not. Try asking the wineries directly about the vegan thing, which is a niche issue involving fining. A huge percentage of wine is vegan. Thomas, while Tikal Patriota is not entirely organic, Ernesto Catena is a big supporter of organic grapegrowing and biodynamic farming. Tikal Natural is certified organic. When you say "processed in a vegetarian manner" - are you just referring to fining with egg whites? I read that Lionel Messi drinks Bonarda, that should be a big boost for the grape (at least in the European Market). Randle Johnson makes an interesting Napa Valley Charbono, perhaps because he is also the consulting winemaker for Colome & Amalaya in Argentina, where he uses Bonarda in some wines. Full Disclosure: I work with Randle at Hess (but he's a character no matter what). Colonia Las Liebras Bonada has been available in the Chicago area for two or three years. It sells for $8 or $9 and it's pretty good. One local wine store recommended it for Thanksgiving dinner. Interesting. I guess I can see Bonarda (or Charbono) with Thanksgiving because of the mild tannins. Me, I'm a white or pink with Thanksgiving guy. But you gotta have some reds on the table, and Bonarda probably has better price performance than Pinot Noir. Blake, thanks for getting it right on the origin of Argentina's Bonarda. It's amazing how many "wine authorities" still call it an Italian grape - even a very high-ranking representative of one of our largest importers of Argentine wines, who shall remain nameless. I am glad that more people are learning about Bonarda. I am an Argentine Bonarda fan and seek it out when I can. 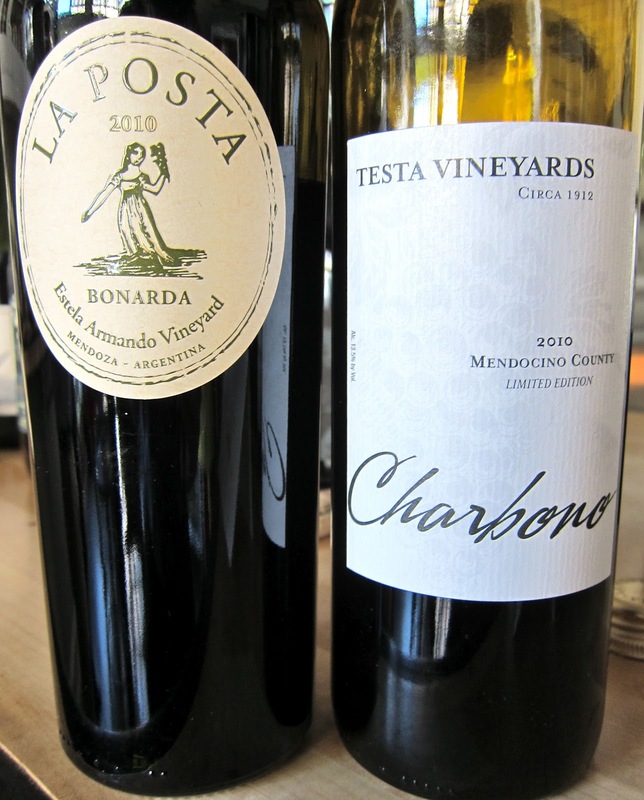 I had the luck to try the La Posta Bonarda at a tasting 2 years ago, plus other Bonardas brought in during the Vancouver Playhouse International Wine Festival this past year. One Bonarda was my overall favorite wine of the entire festival.